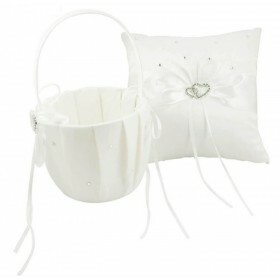 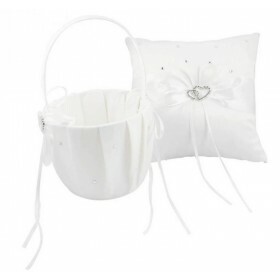 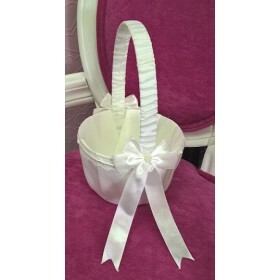 Adorable Flowergirl basket - perfect for little hands. 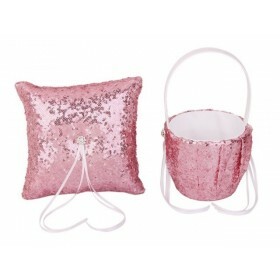 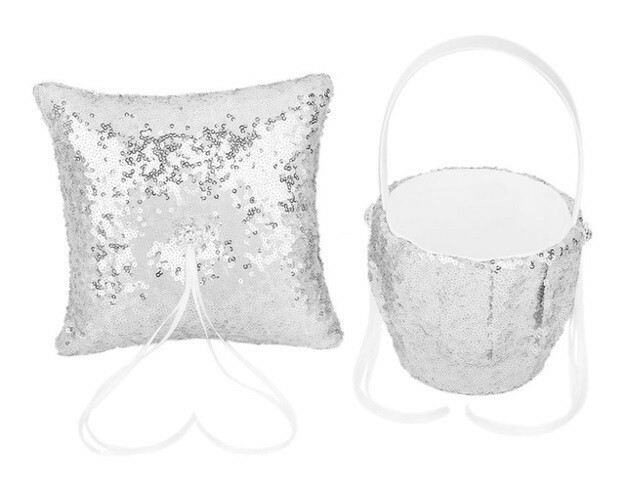 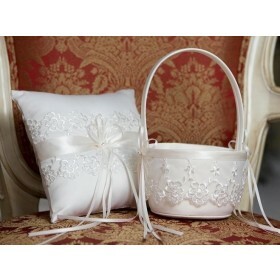 Features: gorgeous sparkling sequins and delicate diamante detail and ribbons where the handle meets the basket. 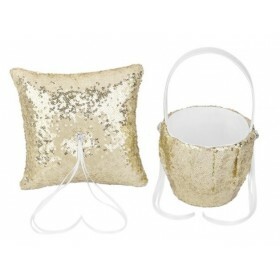 Features: Covered in sparkling sequins with a gorgeous diamante and ribbon design to tie the ring.